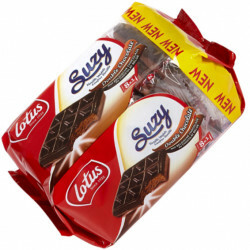 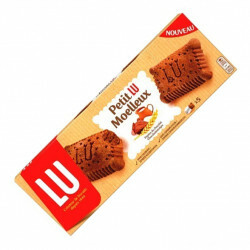 Petit Moelleux Chocolate is produced by LU company. 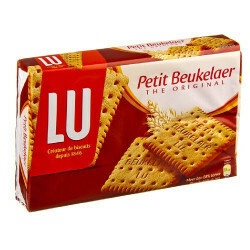 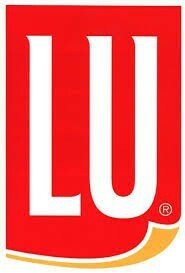 It's all the pleasure of a little LU in a delicious cake with chocolate chips without coloring and without preservatives. 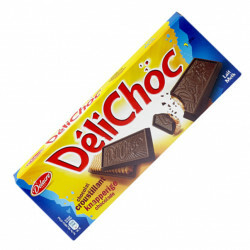 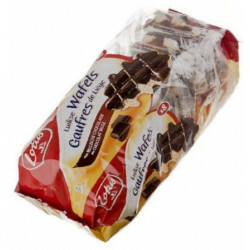 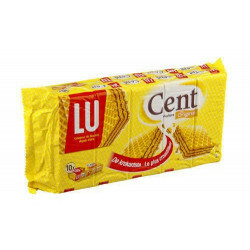 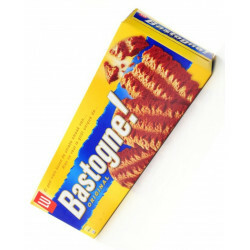 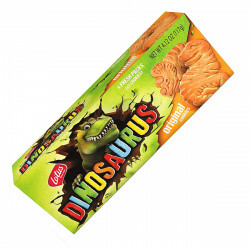 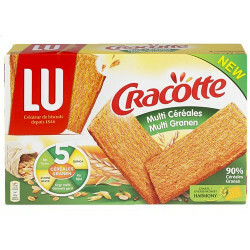 Each pack contains 5 cakes for 140 gr. Ingredients: Wheat flour (16%), eggs (16%), glucose-fructose syrup, chocolate chips (13%) (cocoa mass, sugar, emulsifier (soy lecithin)), rapeseed oil, chocolate powder (9.5%) (sugar, cocoa powder), sugar, stabilizer (glycerol), pastry butter (5%), skimmed milk powder (0.3%) and whole milk powder (0.2% ), baking powders (disodium diphosphate, sodium hydrogen carbonate), salt, emulsifier (E471), thickener (xanthan gum), flavor.